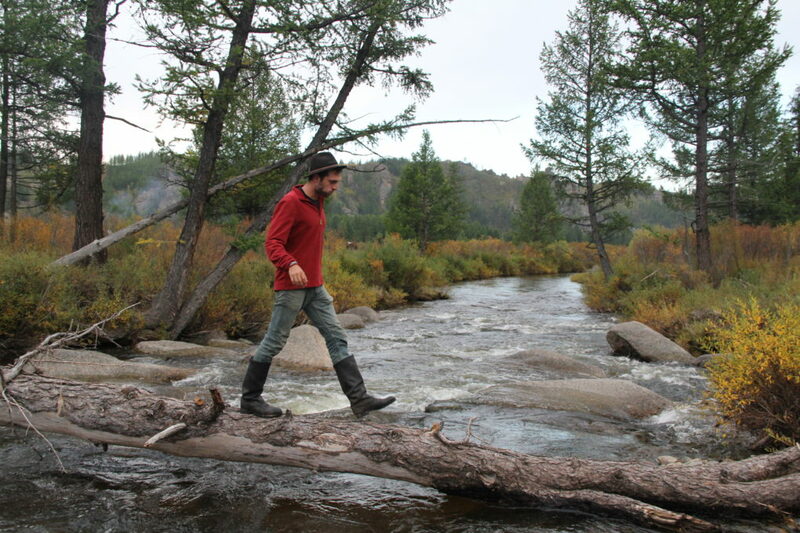 You will leave Stepperiders and head towards the starting point of your trek. On the way you will stop to see the famous Turtle Rock, one of Terelj National park’s must see. Once your horses ready you will start by crossing a big river. What a good way to start the adventure! You will be riding through a valley with many nomadic families and livestock. You will camp in a quiet and beautiful place. 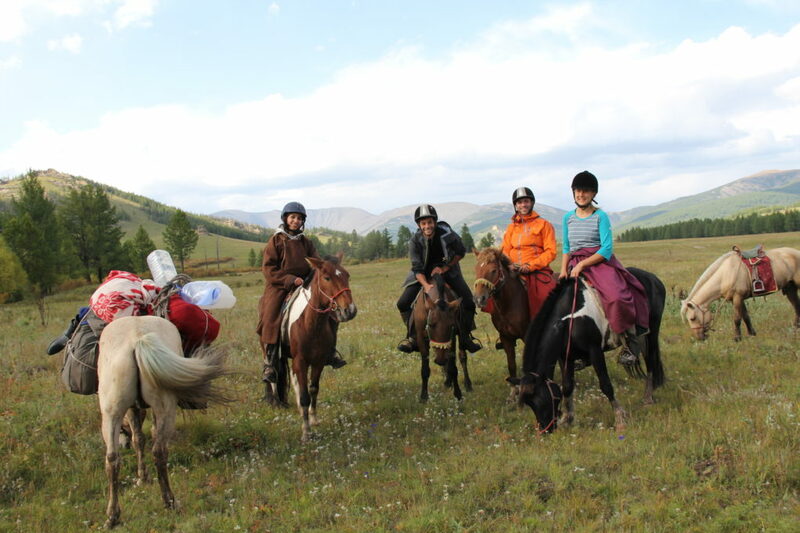 The more you will ride, the fewer nomadic families you will see. You will cross rivers, gallop in high grass and see beautiful herds of horses. You will camp next to the river where you can have a swim and then relax next to the camp fire. On day 3 you will reach Gunjiin soum. Before this you will have to cross more rivers which transform into swamps depending on the weather. This section is one of the most challenging of the trek. You will camp at Gunjin soum. In the morning you will head to visit the ruins of the Gunji Temple. In the afternoon you will continue your horse trek. 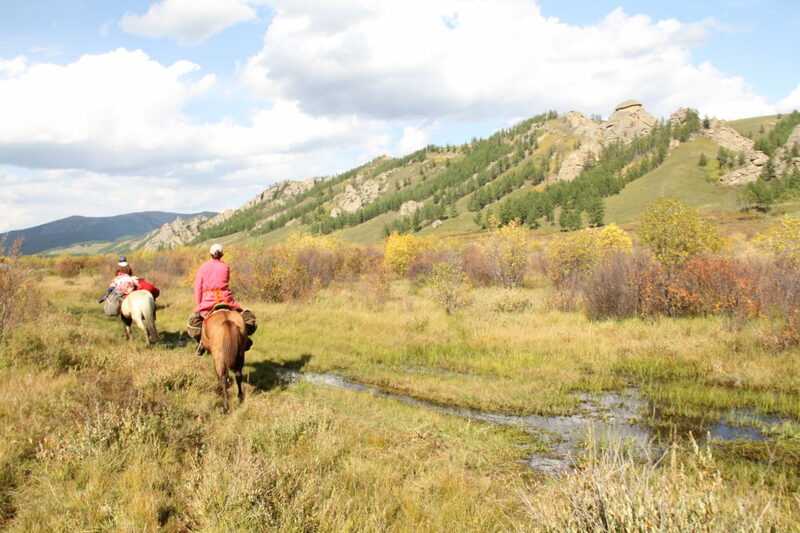 You will continue riding across pristine landscape riding toward Terelj National Park. You will continue riding in the morning. Around lunchtime you and the horses will be picked up to go back to Stepperiders. You will spend the end of the afternoon at our camp relaxing on the deck of our big ger drinking tea and sharing all your trek memories.